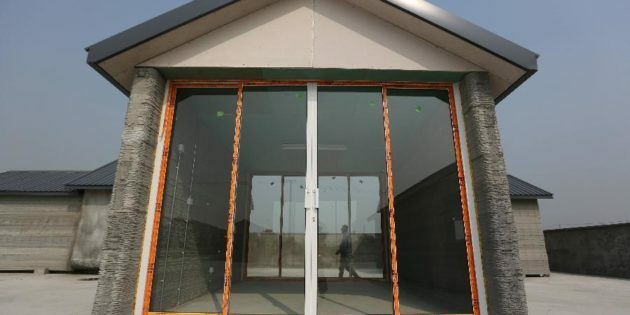 Incredible 3D Printer Builds 10 homes in 24hours, And For $5,000 Each! Seems like 3D Printers are all the rage. Right now it seems like the possibilities are endless and this may very will be the Internet or the Computer innovation of the 21st Century. A China based company used four 10mX6.6m printers to a mixture of cement and construction waste in building these walls. So not only are we talking an inexpensive home, but one made from concrete! Note he has built in supports and is able to lay the concrete in a way that no form is needed and seems to be stronger design. Previous Previous post: This Swedish family built a Greenhouse around their home.